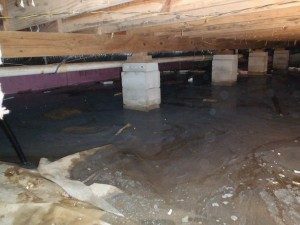 Your Clarks Summit Basement is not doomed to be damp forever! We can fix it for you permanently! We are able to custom tailor a basement drainage system for your home, which matches perfectly to eliminate the moisture, or water entry problems you're having. You won't have to worry about water coming in the floor joints, cracks, bilco doors,or even from hydro-static pressure under ground, ever again! Our systems are able to remedy all of these problems and much more! We also can handle your sump pump installation. Call us and take your first step to a dry, safe, worry free home again! We guarantee it! In price comparisons with other local Clarks Summit companies, we have been told we are usually lower than the highest priced, but not the lowest price. We are very competitive with price and excel in service, product and quality. The first settler in the area currently known as Clarks Summit was William Clark. Clark had fought in the Battle of Bunker Hill during the Revolutionary War, and as payment for his military service, he was issued 800 acres of Pennsylvania land by Congress. Because of disputes between Pennsylvania and Connecticut over the area of land that is now northern Pennsylvania, the land deed issued to Clark was deemed invalid by the Luzerne County land grant office. Clark had no choice but to pay for the land himself. In March 1799, Clark and his three sons moved into a log cabin, located on what is currently the Clarks Green Cemetery. The first school was built in 1893 and was destroyed by fire two years later. The village of Clarks Summit and an adjacent tract of land were incorporated into the Borough of Clarks Summit on August 30, 1911. Today, Clarks Summit is home to places such as the Tennis Club. 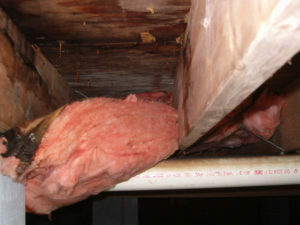 We provide water cleanup services throughout Clarks Summit PA, including 18411.